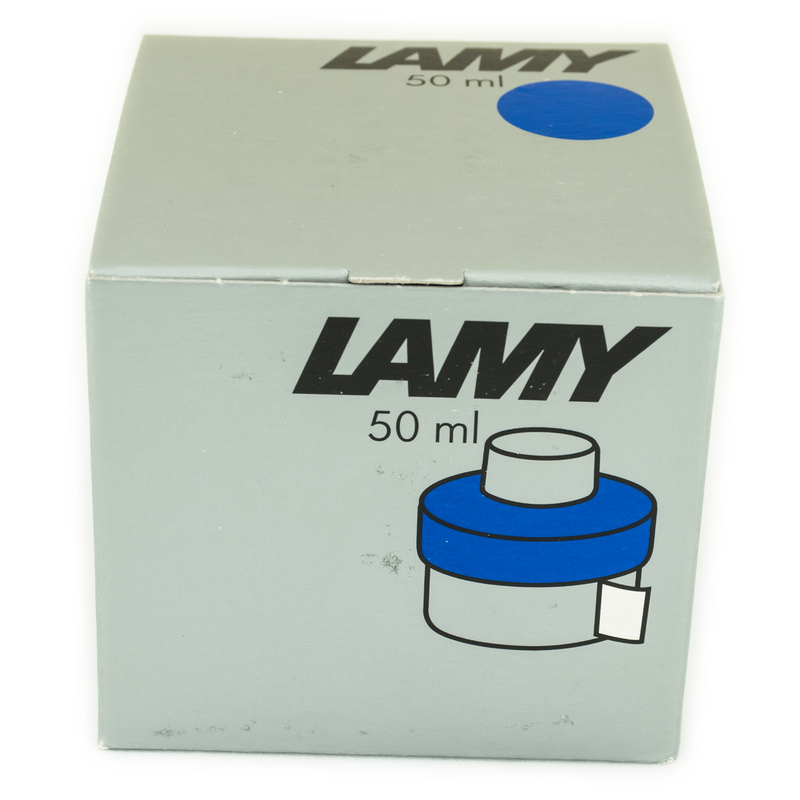 Lamy Blue bottled ink (Lamy model name T52) is a fountain pen ink of a medium-light blue color. This is a washable ink. 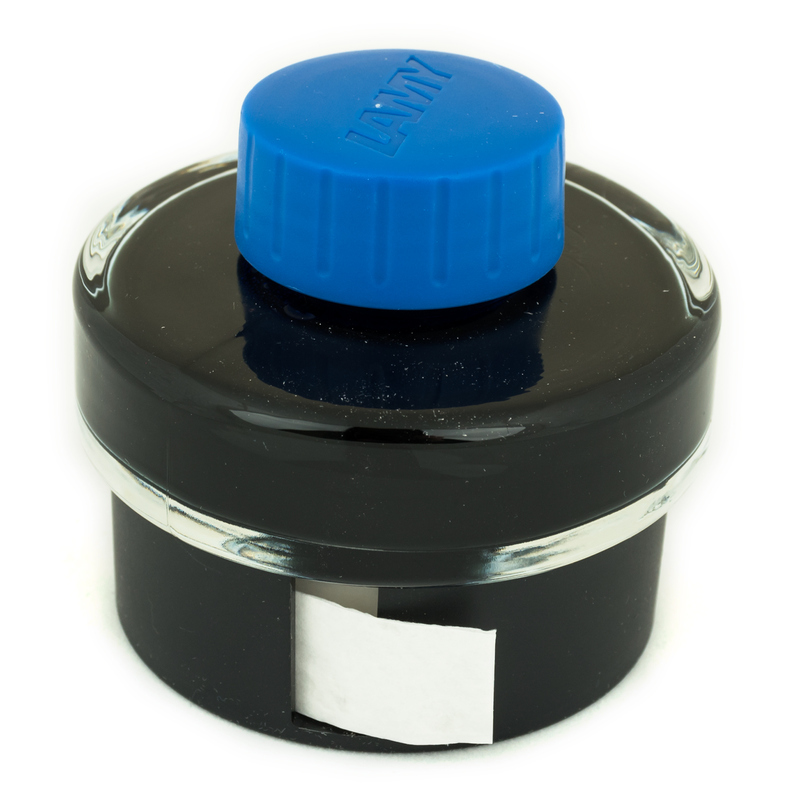 It can be deleted with a special ink eraser or washed out completely from paper or any other surfaces.